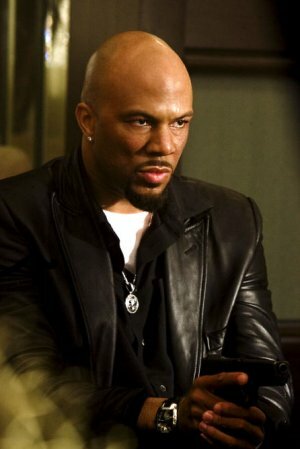 Home » Films » Common is latest name rumored to be in running for THE A-TEAM’S B.A. Common is latest name rumored to be in running for THE A-TEAM’S B.A. In a recent interview with IESB, Rapper/Actor Common and confirmed the possiblity he might play B.A. Baracus in Joe Carnahan’s film version of The A-Team. Common worked with Carnahan on Smokin’ Ace. Common: Yeah that would be something cool, but, I mean, let’s see, I can’t speak on it yet until we know what’s going on but that would be an incredible character to play. IESB: You worked with Carnahan before. Common: Carnahan is my guy. Common: (laughing) I can’t do the Mohawk but we got to do something, we got to find something to make it work. IESB: That is something you would like to do? Common: I would love to, just to work with Joe is so exciting for me I just had such a great experience. I feel that he is one of the freshest directors and innovative guys and fun, he is a quality guy, quality director and man, I just want to work with him. IESB: God willing that you get to do B.A. Baracus, is it a different take? Anything like Mr. T? Common: You definitely have to give it something different. Common: It’s a new day, you just got to give it something new. The kids don’t know that B.A. so you wanna bring something new to it and you want to pay respect to B.A. and the way B.A, was created too. I believe there is a way to find a combination, I have certain similarities to Mr. T already. We are both from Chicago, we are both rebels in our own way. I could really get that, I could really get that. Prior to this, Ice Cube, Tysese Gibson and even former UFC Light Heavyweight Champion Quinton “Rampage” Jackson had been mentioned. I can totally see Common as B.A., I thought he was good in Smokin’ Ace. Hopefully with Carnahan on board, we will start seeing some movement on this project. This is the first real bit of casting news/rumor to surface since Mr. Carnahan came on board earlier this year. Common was great in Ace, I like this more than most of the rumored candidates.